The Raj Program for Depression and Anxiety, based on the science of Maharishi Ayurveda, provides the most comprehensive natural approach available today, both in terms of identifying causes and providing relief. Ayurveda recognizes that many physiological and environmental factors can contribute to depression and anxiety, including poor diet, weak digestion and metabolism, a hectic lifestyle, and numerous environmental factors. Symptoms of depression and anxiety can also be triggered by excessive mental and physical stress. All of these contributors can result in an accumulation of impurities and imbalances that interfere with the body’s natural biological rhythms. When toxins accumulate in tissues, they disrupt the body’s delicate biochemistry. At the heart of The Raj programs are the traditional Ayurvedic rejuvenation and detoxification treatments, called Panchakarma. These time-tested therapies effectively remove deeply imbedded toxins and impurities, with no unpleasant side-effects. Ayurveda acknowledges that people can have the same symptoms for many different reasons. The multi-modality approach of The Raj Program for Depression helps balance many physiological functions simultaneously, creating a foundation for progress and healing. 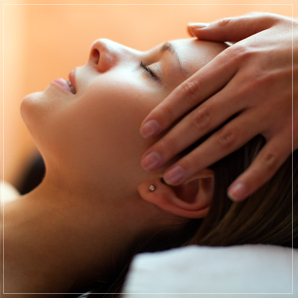 Our Ayurveda Experts will design an individualized program for your specific needs. You will leave with specialized recommendations to allow you to continue your progress at home. Ayurvedic experts, Mark Toomey PhD and Vaidya MP Manohar, work in conjunction with Dr. Robert Schneider, MD, to create an effective, customized program to address your depression condition. Using Pulse Assessment to identify factors behind the onset of your depression, an individualized treatment program can be created to effect significant changes, naturally and holistically. With an emphasis on prevention, and utilizing only natural approaches, The Raj Ayurveda Depression Program removes toxins, boosts the immune system, promoting health and vitality. Can Ayurveda really help with symptoms of depression and anxiety? Ayurveda research shows that many physiological imbalances contribute to depression, anxiety and related conditions. Symptoms of depression and anxiety are often triggered by excessive mental and physical stress, or disruptions of natural biological rhythms. According to Ayurveda, psychological problems start when fundamental imbalances develop in the biological intelligence that controls all bodily processes. Ayurveda acknowledges that people can have the same symptoms for different reasons. Just as a headache can have many possible causes, not everyone has depression or anxiety for the same reasons. Depression and anxiety can be influenced by many factors, including diet, digestion, toxin accumulation, stress, exercise levels and daily routine. The multi-modality approach of Ayurveda helps to balance many physiological functions simultaneously, making it an ideal treatment option. What is the Ayurvedic approach to depression and anxiety? Most illness, including depression, begins when toxins accumulate in tissues and disrupt the body’s delicate biochemistry. The Raj Ayurveda depression treatment programs effectively remove toxins and impurities, with no significant side-effects. How effective are your treatments in removing toxins? Can you share success stories for Ayurveda and depression? In 1997 a 55-year- old gentleman suffering from hypertension, Type II diabetes (non-insulin dependent) and depression, embarked on a 21 day Ayurveda Treatment Program. When he started the program, he was taking medication for control of all three disorders. Hypertension: Prior to starting medication in 1995, his blood pressure had been elevated (170/106). A few months prior to starting the Ayurveda Treatment Program he had attempted to come off the medication on his own, but his blood pressure became elevated within one week (160/90) and the medication had to be resumed. When he began his Ayurvedic Program his blood pressure on medication was normal; however, he was experiencing side-effects from the medication, including depression and fatigue. After beginning the Ayurveda program, he stopped his blood pressure medicine and his blood pressure remained normal. On completing the 21-day program he was placed on a specialized home routine. After five weeks of continuing the prescribed Ayurvedic routine at home, his blood pressure continued to be normal (average 121/79) without medication. Diabetes Type II: On starting the program, his blood sugars were poorly controlled, with daily fasting blood sugars averaging 212 during the month prior to his entry into the program (the ideal value for a diabetic is less than 120). During the 21-day Ayurveda Treatment Program, his diabetes medicine was tapered to about one-half the admission dose. Despite this decrease in medicine, his fasting blood sugars dropped to an average of 118.7 over the final 12 days of treatment, a drop of 93 points from the beginning of stay. His weight decreased from 147 to 144. After five months of following a specialized Ayurvedic routine at home, his hemoglobin A1C (a test of long-range blood sugar control) was 7.4 (excellent control), compared to a previous 8.4. His medication dose remained half the pre-treatment dose. Depression: During the first week of treatment his emotional state improved considerably: he stopped the antidepressant medicine of his own volition mid-way through the program. Five months later, he was still opting not to take antidepressant medication, without any symptoms of depression or anxiety. I came here feeling weak and a bit depressed. The PK has created lightness in mind and body, greater hope for the future, and a positive attitude— in just 5 days! I find that when I leave The Raj that my body feels lighter, with less pain, and more fluid. My spirit is lifted. I have peace of mind. During my experience at The Raj, I started to feel joyful and excited about life again. I learned so much and I’m excited to return home and tell my family and friends all about it. Every time I visit The Raj, I experience a positive “reset” on my body, my mind, and my spirit. Such an amazing gift! No other rejuvenation program comes close! The individualized evaluation and treatments are incredible.